Sensei Pittman started taking martial arts at the age of 8 at NMA. His dad, Sensei Randall, has been a major influence in his life, as well as the other instructors. After almost 8 years of training, Sensei Pittman achieved his black belt at the age of 15. Thanks to the influence and help from the other instructors. Sensei Pittman managed to achieve his black belt as one of the youngest people to do so in Teashikido. 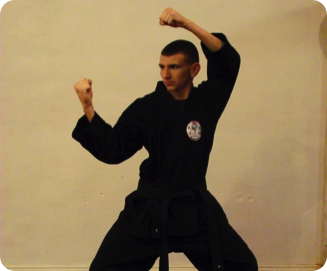 Sensei Pittman is young and he feels that he can be an inspiration to other young people interested in martial arts. Even though Sensei Pittman is young he still has a positive attitude and a drive for teaching others. Sensei Pittman plans to teach students with the best of his ability to make and mold them into the best possible martial artists that they can be.